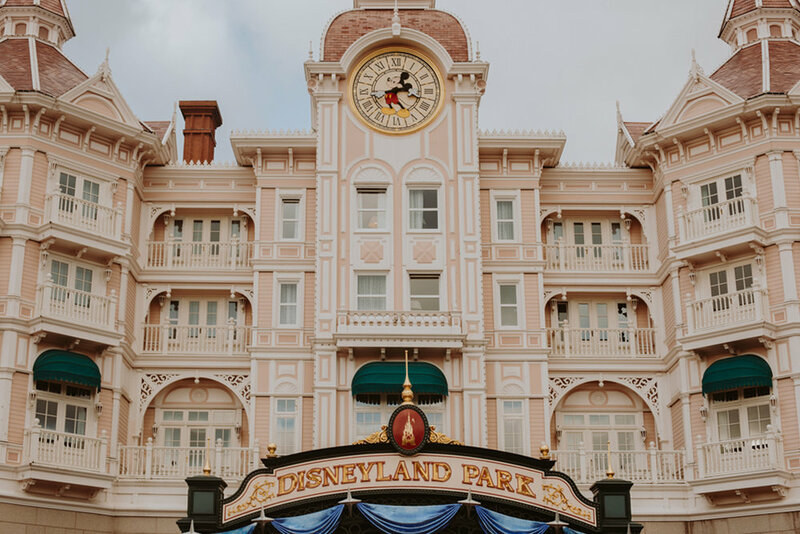 This was the day I was looking forward to the entire trip: visiting Disneyland Paris. The first time I visited this park was in high school, but it wasn't until my second trip in 2016 when I fell in love with this park. 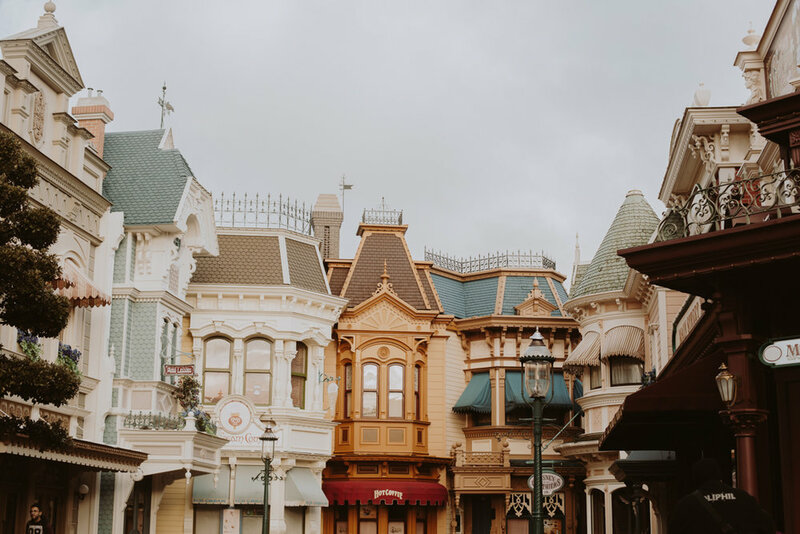 It took me visiting DisneySea to realize the other Disney parks won't have the same magic as the original Disneyland park has, but there are so many other aspects that make them great. 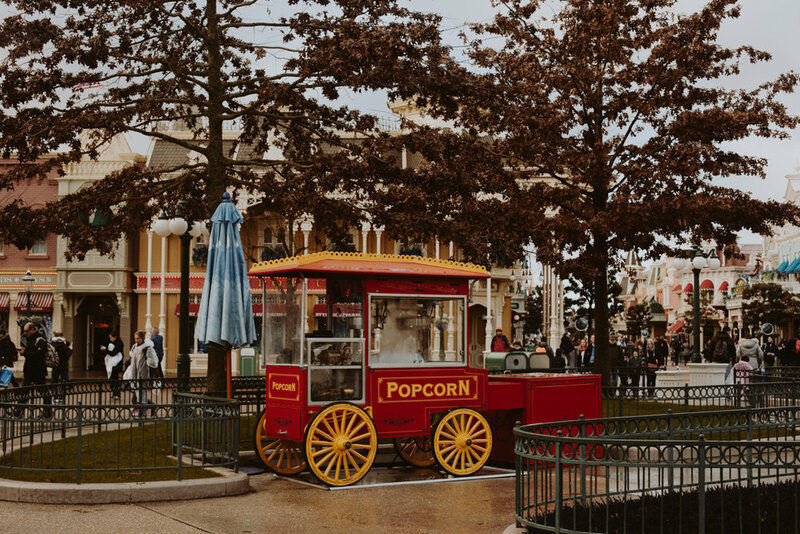 As for Disneyland Paris, what stands out to me most is the rides. The French enjoy their thrills and their versions of our rides are either faster, bigger, or have loops and corkscrews. 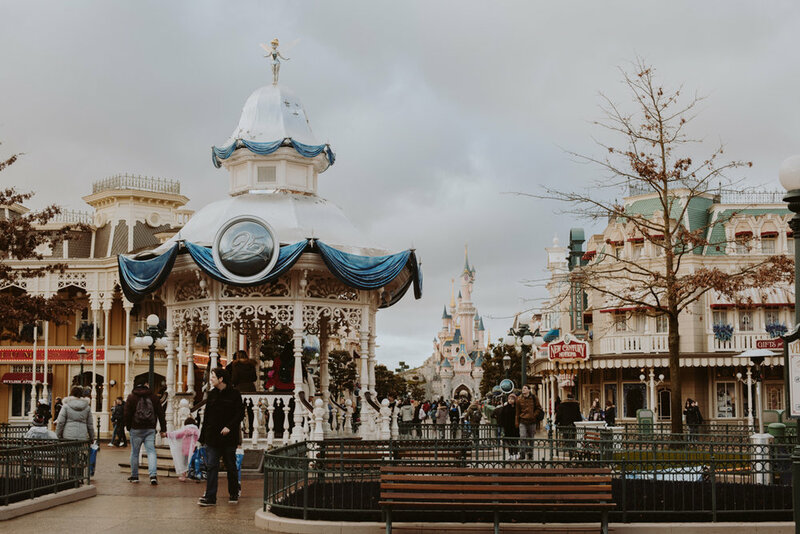 We knew our entire trip would be filled with rain and once we arrived in Paris, the forecast confirmed it would rain every single day, so no matter which day we chose, it was going to rain at the parks. We decided Monday would be the best day to visit since it was cheaper and would potentially have less crowds. What we didn't expect was for it to be the rainiest day of our entire trip! It poured and poured when we first arrived at the park and I wasn't able to take my camera out without the risk of it getting drenched. Soon into our Disney day, the rain began to soak through my purse and I had to purchase a poncho to make sure the water didn't reach my camera. Buying this poncho was the best decision I made. 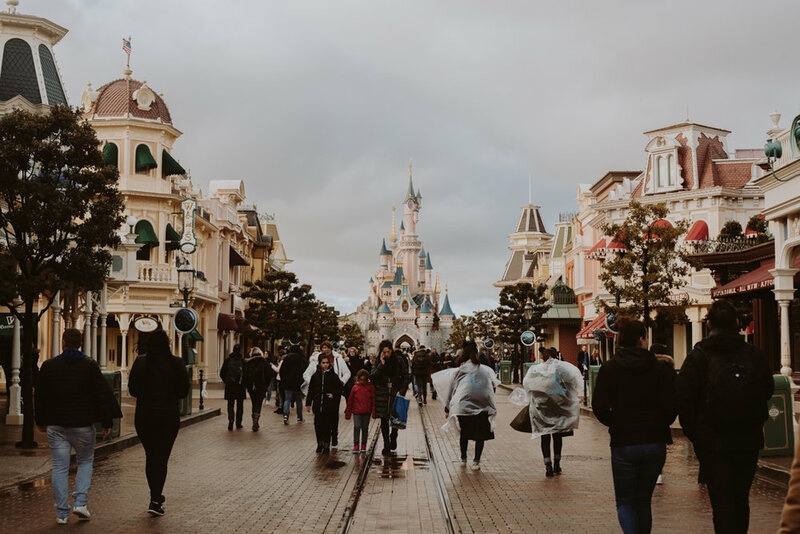 Not only will I have a cool Disneyland Paris poncho for our Disney World trip in May, it also made it easier for me to take photos. I was able to hide my camera underneath and when I wanted to take a photo, I would slip it out and take the photo under my umbrella. After we arrived at the park, our first task was to find ourselves a waffle. We searched and searched amidst the rain and eventually found some near It's A Small World. 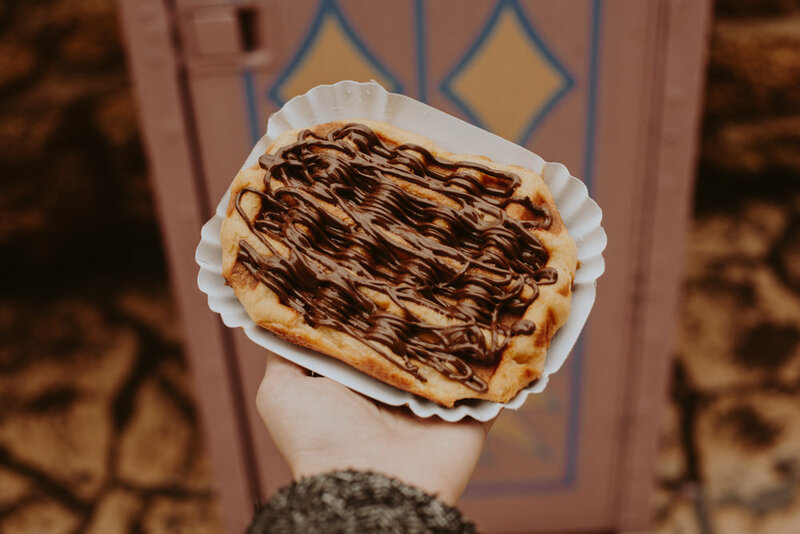 We grabbed our warm, chocolate covered waffles and hopped onto the Parisian version of It's A Small World. The first difference I noticed is the Cast Members let me bring my food onto the ride! That never would have slid in California and was a great difference since I still needed to finish my waffle. I personally love this ride because it is a condensed version of our ride, it features the highlights, and is a much more bearable length. Although, nothing does beat the original Small World. We then moseyed on over to Space Mountain — one of my favorite rides here! The first difference I noticed on this ride from the previous times I have ridden it was the new train cars and difference seat restraints. I have always loved this ride, but every time I would walk away, I would have the worst headache from my head banging on the restraints. The new ones sit lower and my head no longer bangs around — it's perfect! 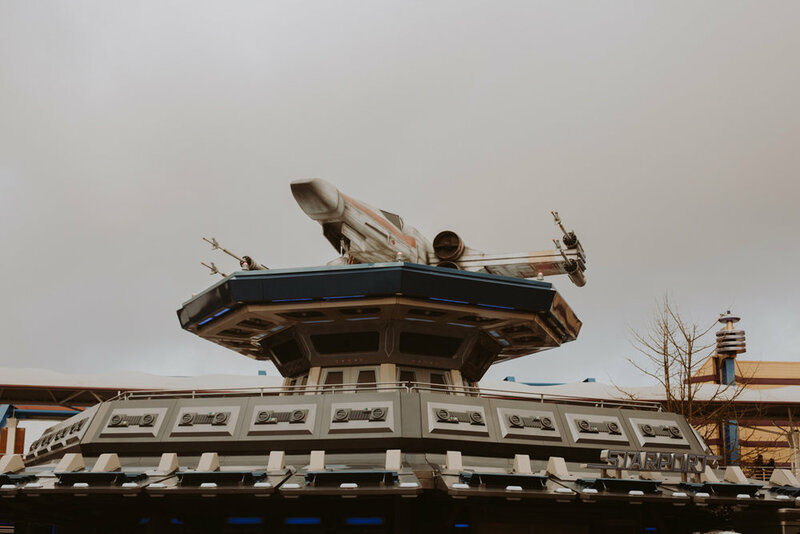 The other difference is this Space Mountain still features the Hyperspace overlay. The Parisian version of this ride also launches from outside and has multiple loops and inversions — it's insane. Once we got off the ride, the sky was clear and there was no rain in sight, but within minutes all of a sudden it began to pour. We managed to take cover and thankfully we did because the wind picked up and the rain came down so hard. 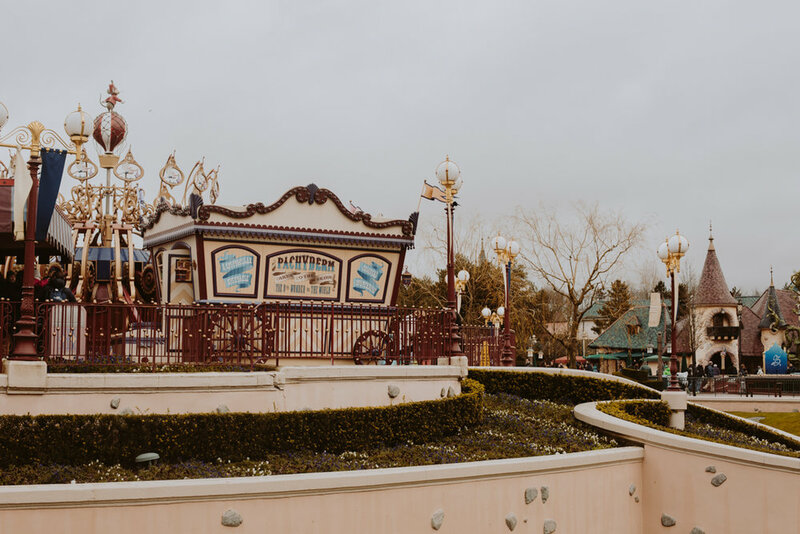 We didn't ride any other rides in Discoveryland, Paris' version of Tomorrowland, but I did snap a few photos of the land. We headed on over to Adventureland to hop onto Pirates of the Caribbean in order to escape the insane rain — apparently everyone else had the same idea as the line was very long. 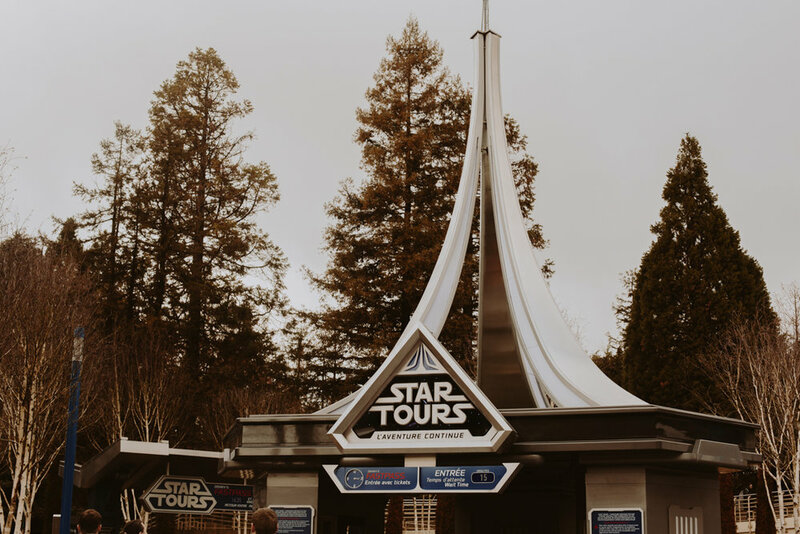 I personally love this version, again, it isn't the same as the original, but their queue is absolutely amazing as well as the outside of the ride. This version starts off with everyone alive and then dead at the end, which is the opposite of the California ride. They have also changed "We wants the redhead" scene, which was tastefully done and still flows well with the ride. 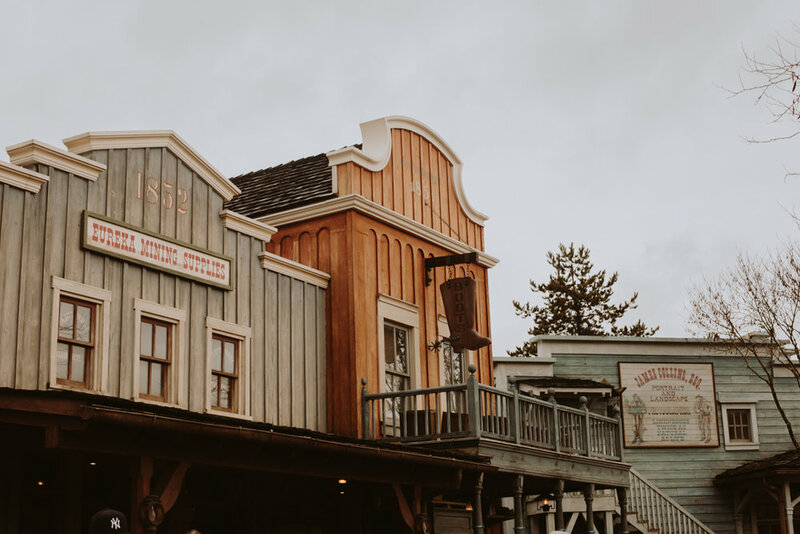 The rain stopped again and we decided it was the perfect opportunity to ride onto Thunder Mountain before it picked up again. Well, we were wrong and it began to pour once we were in line, so we hopped out of line and decided it was the perfect time for lunch. We ate at the Hakuna Matata restaurant, which is a Lion King themed self-service restaraunt. One side is called the Pumbaa side and the other is Timon. 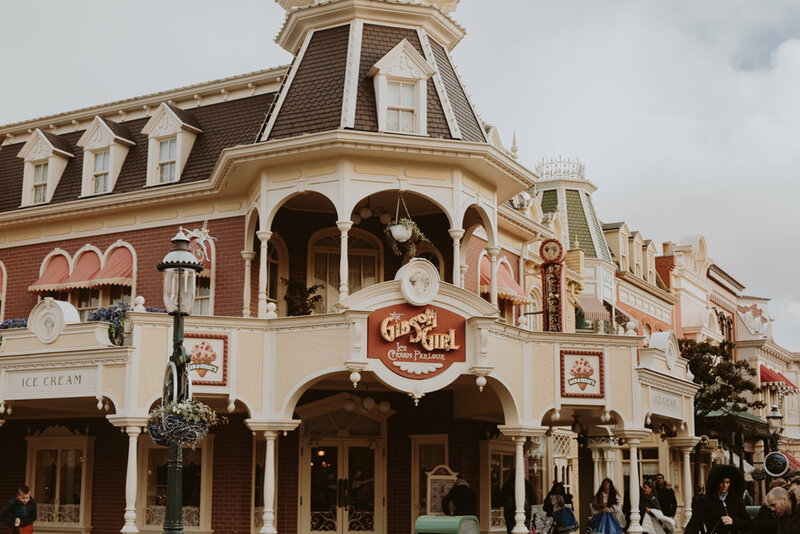 The food is just okay, like it is throughout most of the park, but I absolutley love the theme of this place — it is so adorable! After our lunch, we decided we would try to make it on Thunder Mountain again without the rain and this one was a success. Rather than Tom Sawyer's Island, Thunder Mountain is placed on there. You hop on the ride from the "mainland" and then go through a tunnel under the river to start the ride. I first rode this in high school and the ride was really run down at that point. The ride was down in the summer of 2016 for refurbishment and I didn't get to ride it. I was ecstatic to find it open this time around and that the ride is much better than it used to be. It's smoother than before and much faster than our version of Thunder Mountain. Although ours has an even smoother track, I would pick this version any day. We actually ended up riding it twice during our trip because we loved it that much! 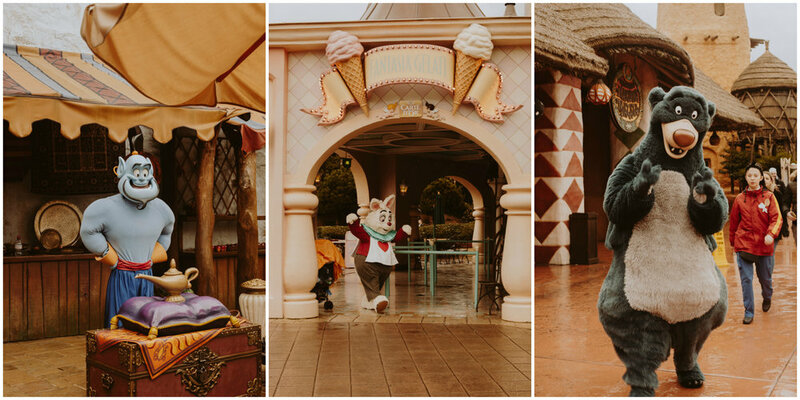 Since the rain had let up for a bit, we knew it was the perfect to chance to head on over to Fantasyland to snap a few more pictures. 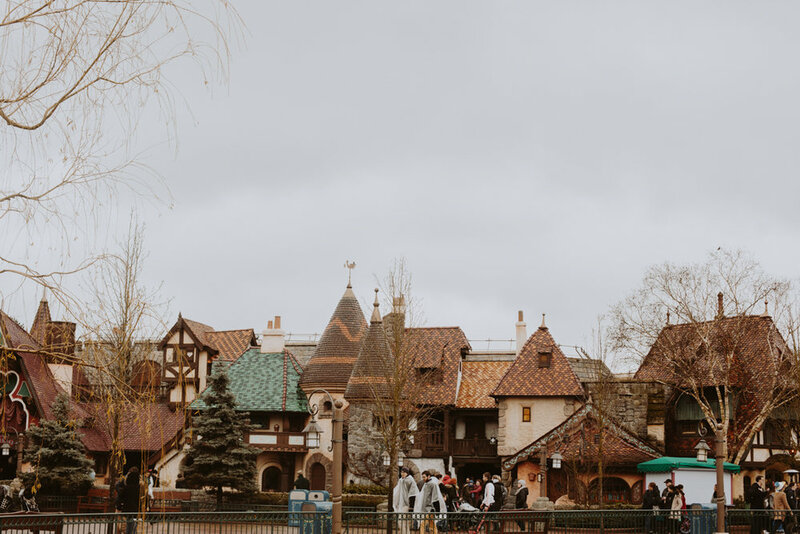 The Parisian version of Fantasyland is beautiful and much bigger than the California version. 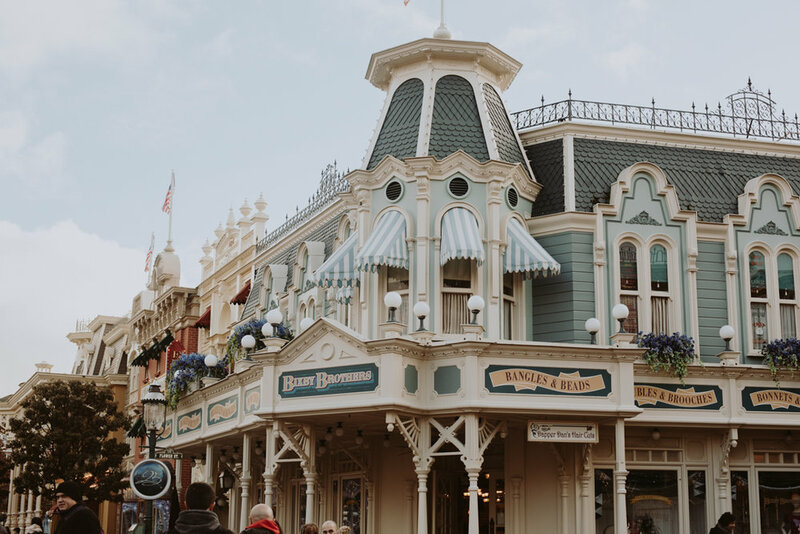 I haven't been to Disney World and visited their updated Fantasyland, so I don't have that to compare it to, but I do love the one in Paris. The queue for Dumbo is beautiful, the Tea Cups are huge, and there is even an Alice in Wonderland maze type garden. 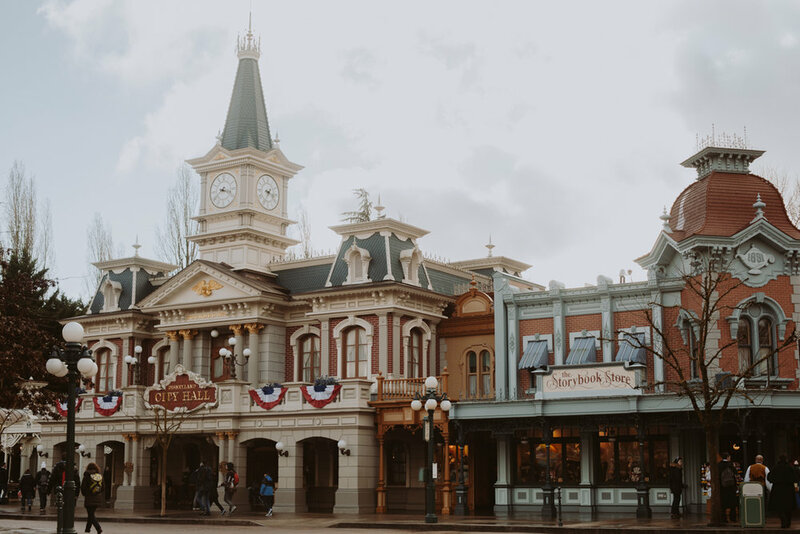 Our day at the parks seemed to go by quite quickly since Disneyland opened at 10 am and closed at 8 pm, but Walt Disney Studios closed at 6 pm. By the time we made our way over to the other park, we only had two and half hours to enjoy it! 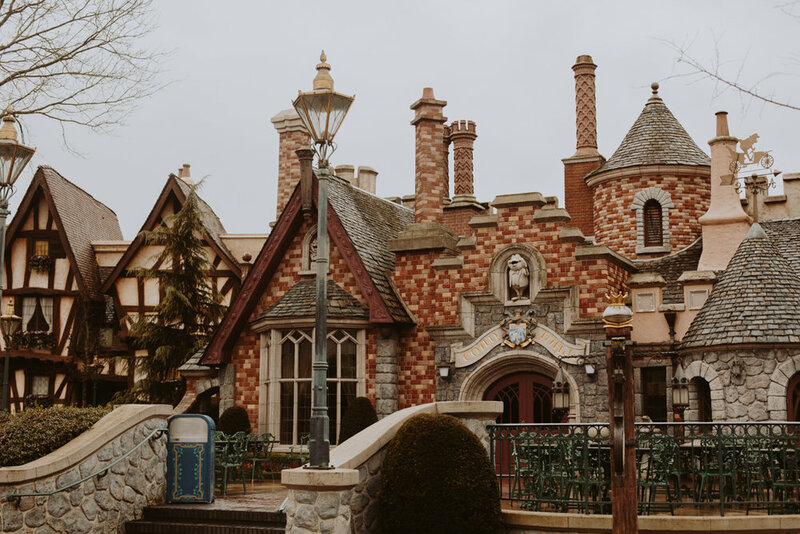 Before making it over there though, we grabbed some castle pictures as well as some non-rain Main Street pictures. I have fallen in love with this park over the years and look forward to eventually coming back. 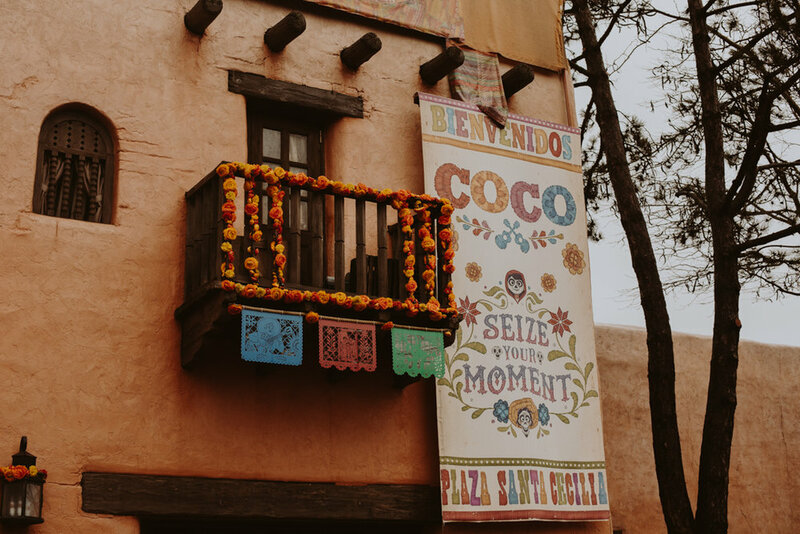 My favorite part of visiting the international parks is experiencing Disney in different cultures. Each park runs a bit different and I love experiencing it. Make sure to come back on Tuesday to check out our time at Walt Disney Studios!